If you want to generate energy via the sun, your solar panels need to be exposed to the sun for a large majority of what’s called “peak sunlight.” Many home and business owners are worried that if their panels get covered with dirt, snow, sand, or something else, they will need to clean them. At West Coast Solar, we understand the concern. We suggest you get your panels cleaned professionally. 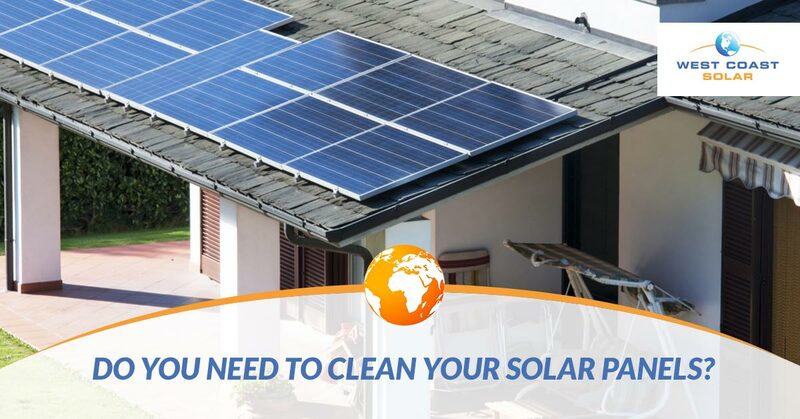 However, we answer four common questions in this post to explain how to clean your solar panels. 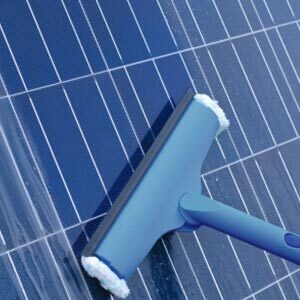 Should I Pay For A Solar Panel Cleaning Service? Two factors come to mind when we answer this question: safety and cost. There are plenty of options to choose from when hiring a professional cleaning service. However, you need to determine how safe you would be doing it yourself, and would cleaning the panels yourself be worth the savings? At West Coast Solar, we encourage solar system owners to hire a professional cleaning service. This means you will remain safe on the ground, and your panels will begin generating energy again for a fraction of the cost if you injured yourself and had to visit the hospital. Do You Use Cleaning Products On The Panels? If you choose to clean the panels yourself, make sure to not scratch or damage the panels in any way. Damaged panel cells either capture less sunlight or stop capturing sunlight altogether, which ultimately means less energy produced. A safe way to wash your panels is with warm water and dish soap applied with an extra-soft sponge. You will also want to remove any water post cleaning, which you can do with a squeegee or a rag. In most cases, the answer is no. A solar lease agreement tends to put all responsibility on the individual who is leasing the panels. This means you will need to maintain the panels, repair them if needed, and ensure their proper function throughout the lease. Do You Remove Snow From The Panels? In most cases, you won’t need to remove snow from your solar panels, since they are installed at a tilt. However, if you do decide to clean snow off your panels, make sure to do it at an opportune time. For example, cleaning your panels off multiple times during a snowstorm does you no good. Consider waiting until the snowing has ceased entirely before you go wipe the snow off. Remember, do not scratch or damage the panels. At West Coast Solar, we keep solar simple. There are more than enough resources out there that complicate the solar power process from the first idea to the final payment. Frankly, we like to keep things basic so those interested in solar energy can take the necessary steps to make the switch to solar power. We’re here to do all the heavy lifting, whether that’s the design or installation. If you’re ready to discuss your own solar power system, give us a call today!